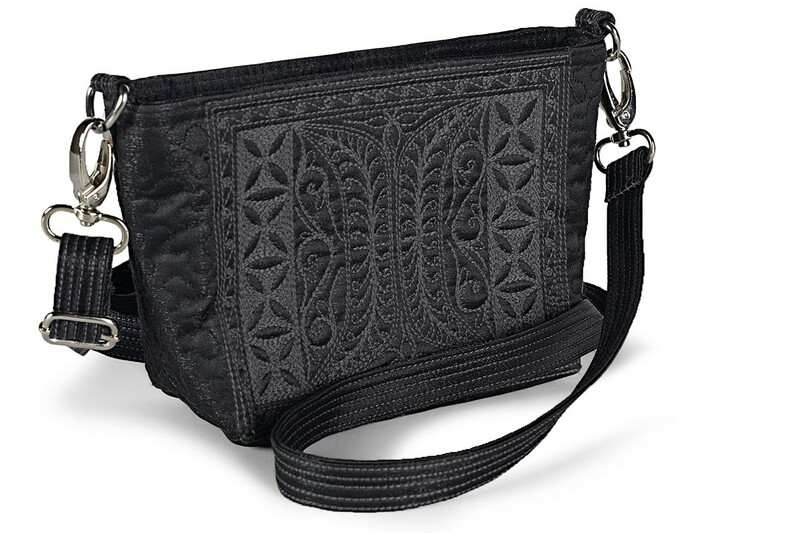 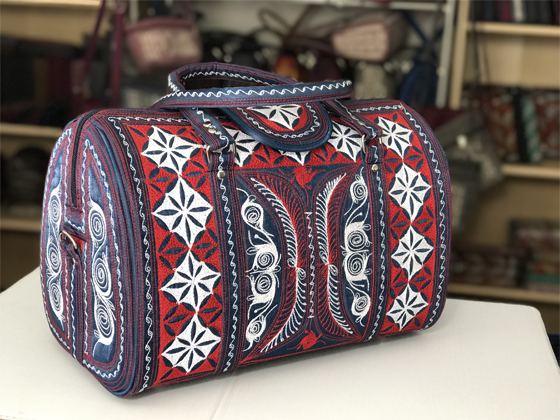 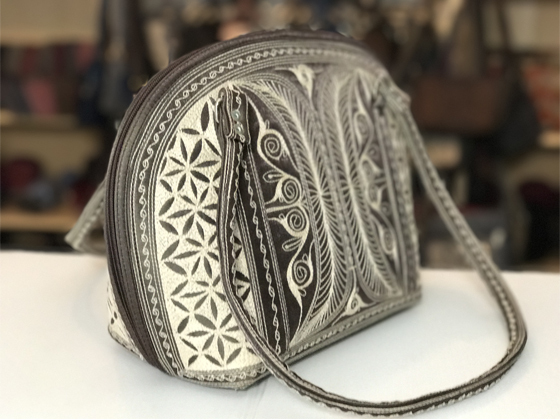 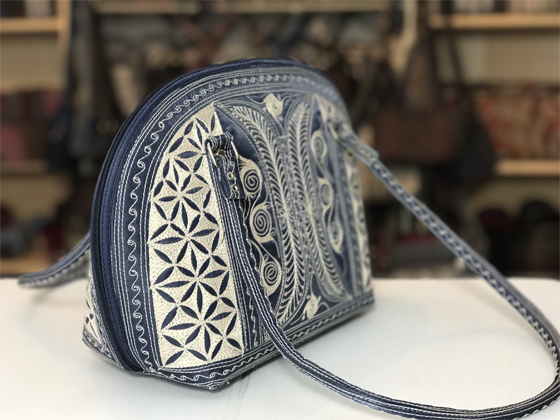 Laga handcrafted vegan handbag free motion embroidered Besar pronounced “beh-SAHR,” means “great.” One of our most popular handbags. 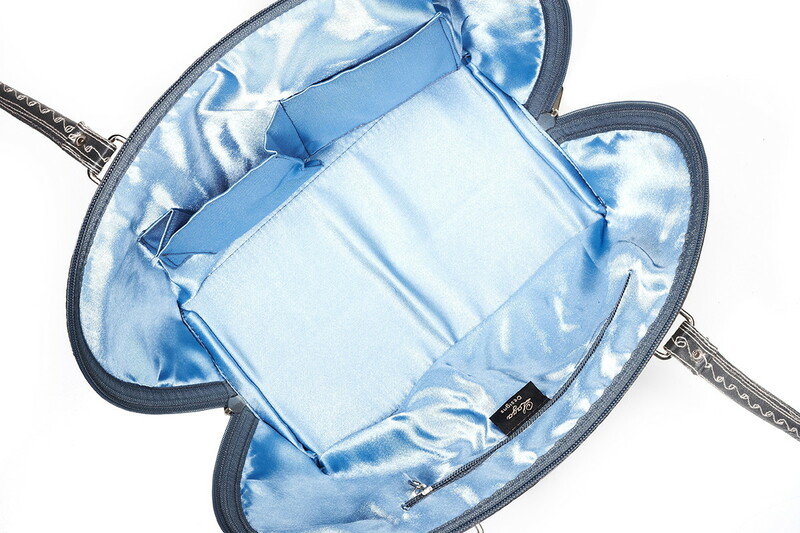 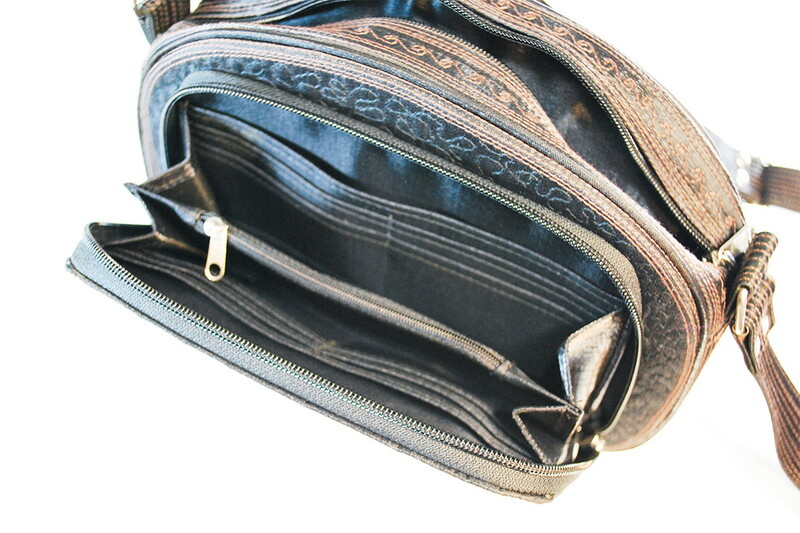 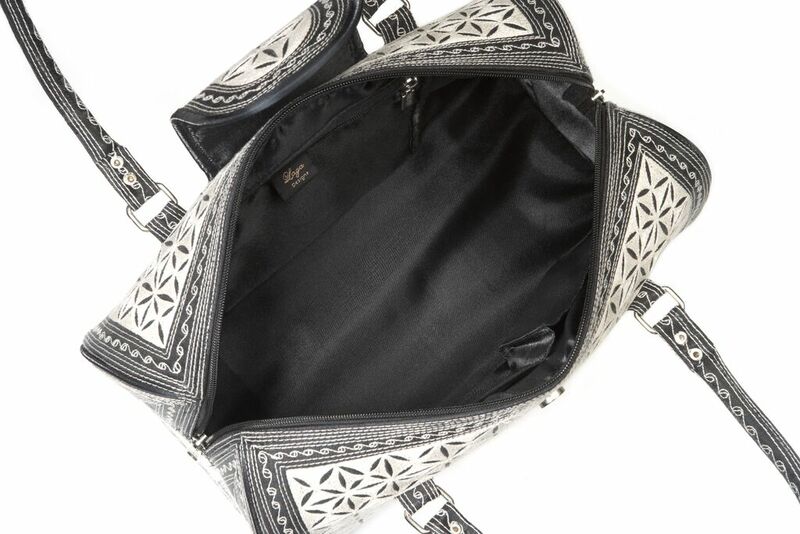 Zippers extending down both sides make this handbag easy to open. 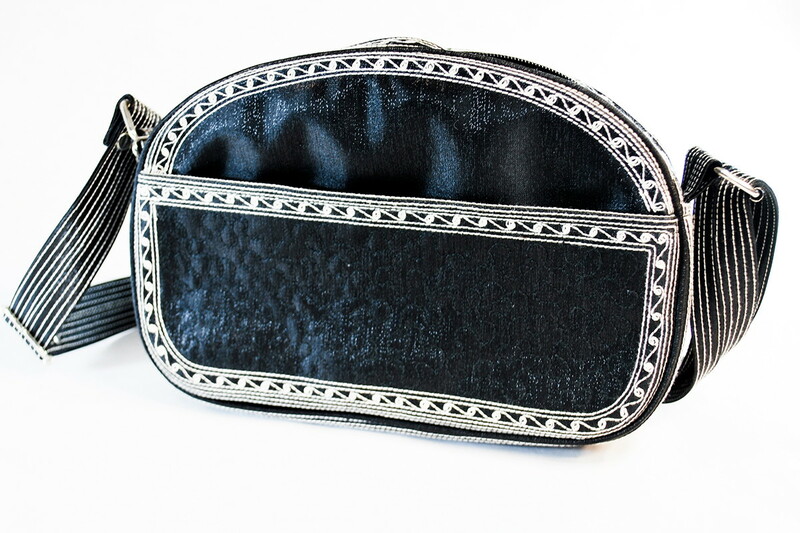 Silver-tone metal rings on the side are for our matching straps. 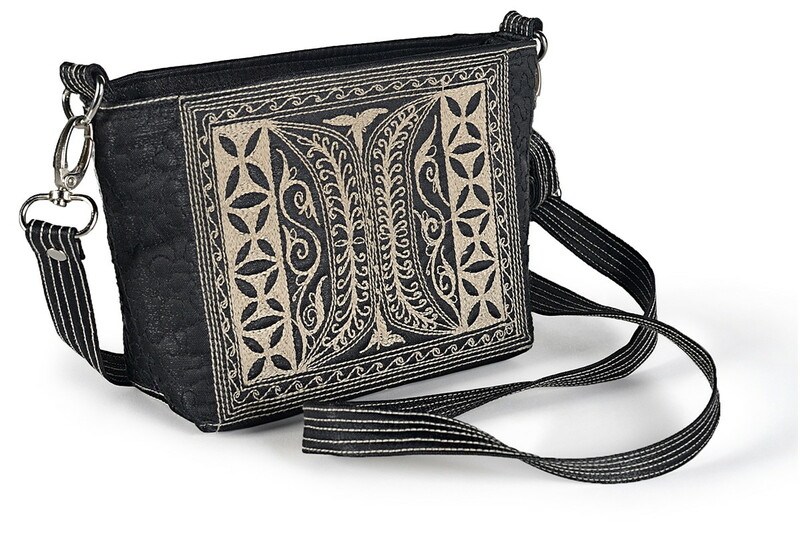 Embroidered straps rest comfortably and gently on your arm.